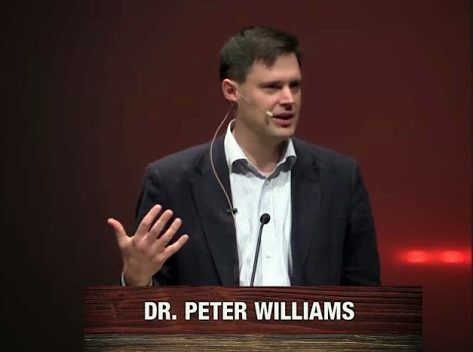 I have to re-post this debate between Bart Ehrman and Peter J. Williams, because Dr. Williams just followed me on Twitter. I noticed that he had re-tweeted one of the two senators I follow on Twitter, so I re-tweeted him. I like Tom Cotton and Josh Hawley, and he re-tweeted Senator Hawley talking about free speech. Bart Ehrman is the US author of the bestselling book “Misquoting Jesus” (In the UK “Whose word is it?”). He calls into question the authority of the New Testament as scribal changes over time have changed the documents. So can we trust the scripture? Bible scholar Peter Williams believes in the reliability of the New Testament and that Bart’s prognosis is far too pessimistic. Note: this summary is snarky. If you want an accurate view of the debate, then listen to it. My summary is meant to be humorous. By a strange coincidence, I began to see that the Bible did have errors after all! what are the main points of Misquoting Jesus? we have copies that are much later, sometimes even centuries later!!1! the copies we have all differ from one another – they were changed by scribes!!1! there are hundreds of thousands of differences!!1! I’m pretty sure that WK prefers the angry Jesus anyway – so who cares? no! someone changed it deliberately! it’s a conspiracy! you should buy my book! it’s a *big deal*!!!!!1!!1!one!!eleventy-one! most people don’t even know about this! it’s a cover-up! you need to buy my scandalous book! well this is just a one word difference, but it makes a huge huge really really big difference! but it wasn’t! this was a deliberate change! it’s a conspiracy! it’s a cover-up! scandal! buy my book! It’s almost as good as Dan Brown! hmmmn…. I kind of like “apart from God” – why is this such a big scandal again? you don’t care? how can you not care? it has to be inerrant! or the whole thing is false! but what if pastors try to use this passage in a sermon? hey! are you talking about me? a lot of people buy my books! i am a big success! it is very important that people don’t feel bad about their sinning you know! Is Misquoting Jesus an attack? well, maybe the variants aren’t a big deal, but what about one angel vs. two angels? we don’t even know if Jesus was even named Jesus, because of one angel vs two angels!!!1! buy my book! you don’t have to read it, just put it on your shelf, then you’ll feel better about not having a relationships with God – because who’s to say what God really wants from you? Not the Bible! Previous PostAlexandria Ocasio-Cortez mocks decorated Navy SEAL Dan Crenshaw for not fighting terrorism enoughNext PostHave you heard about Dr. Angus Menuge’s ontological argument against naturalism? Glad you liked it, sir. I love your snarky versions in general, but this is pure gold!!! You are so welcome. I need to find more debates and set aside the time to do these. They take a long time, but they are nice when they’re done. I am so glad you liked it, everything I do is for my readers to learn and grow. This one always cracks me up! I love the snark – and sadly have met a few atheists who regressed along these same lines. Thank you for your comment. I think atheists expect to do whatever they want and then God, if he exists, will just make it all work out. It’s not that they have reasons, it’s that they have expectations, and they don’t want God to have any will for them except their happiness. My female cousin experessed it like this: “I would not follow God even if he existed, because I need to remain free of his demands in order to seek my own happiness”. That’s honesty. Yeah, I just don’t get that kind of purely narcissistic atheism. But, I think you are right that it is probably more intellectually consistent than I was as an atheist. Perhaps it was because I was seeking truth and knowledge as much as happiness in my unbelief years. If a God of some sort existed, then I would consider that an addition to my knowledge base and definitely worth exploring. Who would NOT want to explore, even if intellectually only, a Creator?!? It helped that I was raised to be a responsible human being who was expected to make some sort of contibution to society. As an adult, I was raising a family, designing spacecraft, learning more and more about technical things and all. I may not have been directly pursuing spiritual Truth, but God never gave up on pursuing me. It was just a question of how He was going to use my love for technical knowledge plus heroic deeds to bring me into the fold. But, I was always open, or at least God kept me open. If you look at many of the TV series back when I was growing up, even those produced by anti-religionists humanists, like Star Trek (TOS), you see a pursuit of ultimate truth, and moral truths, in most episodes. Whether Roddenberry realized it or not, he was constantly smuggling the existence of God into his episodes, imperfectly to be sure, but He was always there. Those definitely influenced me to be open to the pursuit of truth or knowledge or what have you. But, there definitely IS a conflict with the atheist who just wants to live for today, because he or she might forever cease to exist tomorrow, and yet at the same time be responsible and pursue an objective purpose and objective moral values and duties in his or her life. I felt that conflict daily and deeply, and remember noting the painful inconsistencies in my life. When God brings a person into the fold through the back door, not through a church or the Bible, but through science, logic, and the witness of heroic salt and light Christians, as He did with me, then these sort of Biblical “difficulties” you describe are simply laughable, and truly pathetic. Which is why they deserve the snark you gave them.